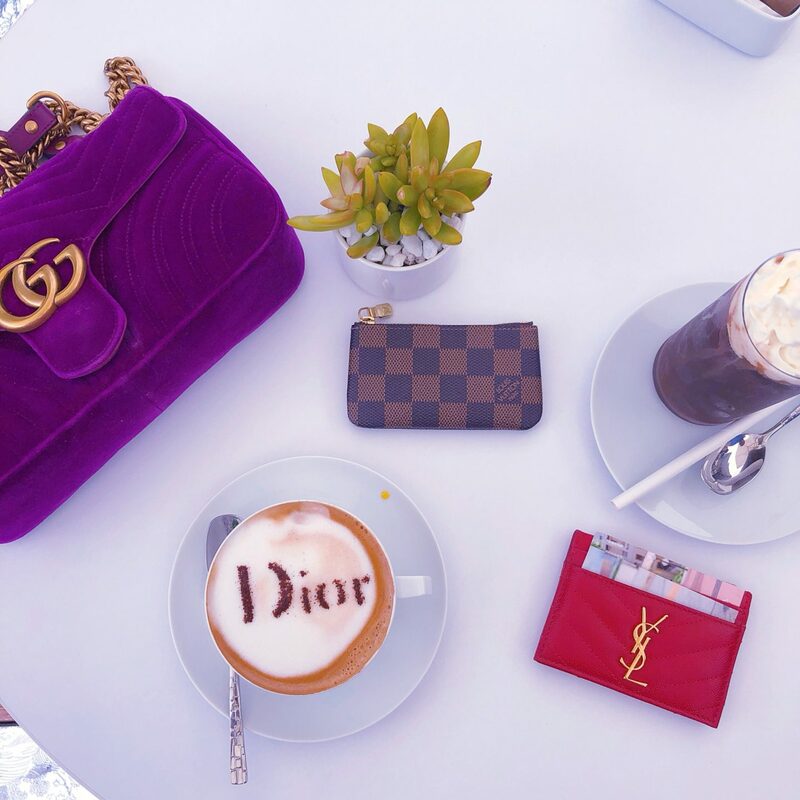 The Dior Cafe in Miami, FL is now open for service! 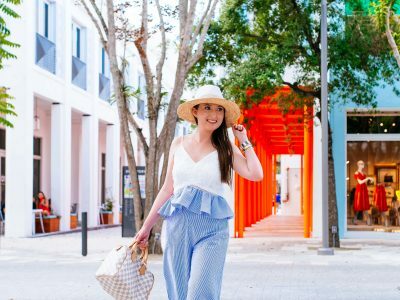 It’s the place to be if you want to mix fashion and food. 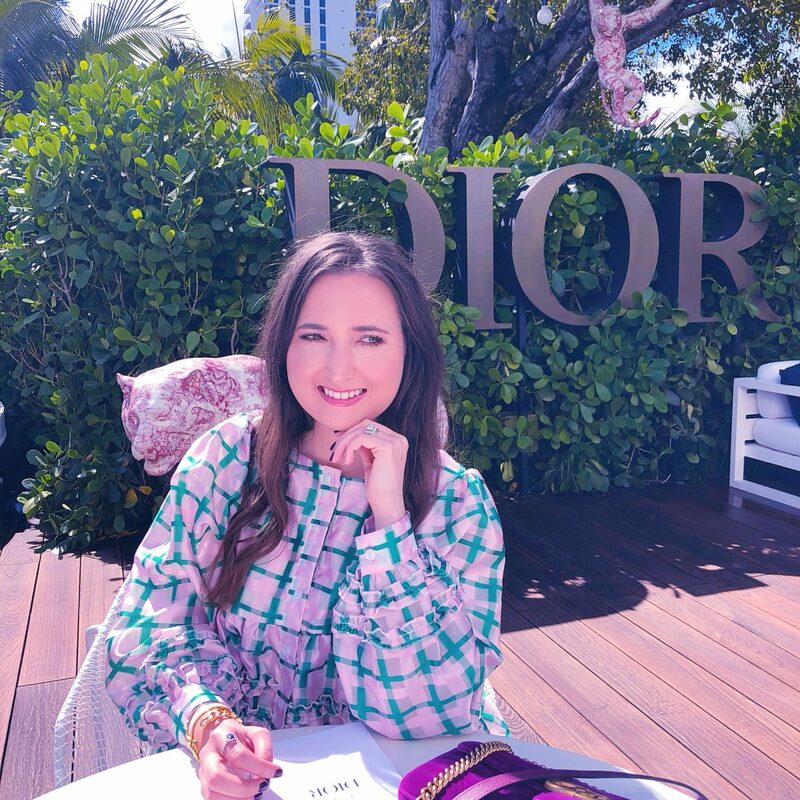 It’s located in the Miami Design District inside the Christian Dior store on the third floor terrace. The exclusive cafe is famous for it’s lattes and has sister stores in Seoul and Paris. However, the one in Miami will only be open for a limited time. 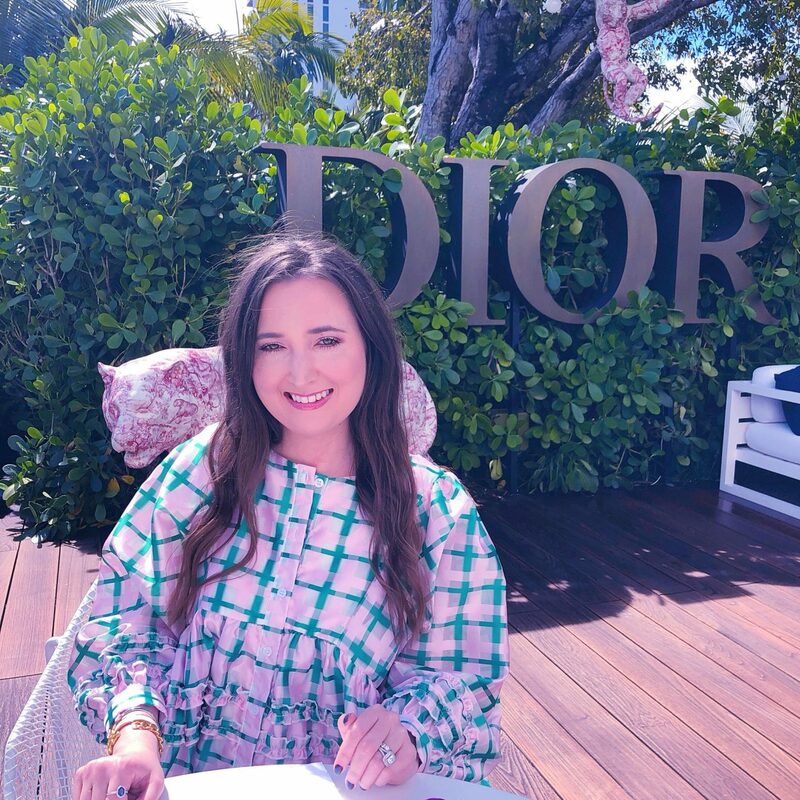 I asked one of the Sales Associates inside Dior and he told me the cafe will most likely be gone in April. 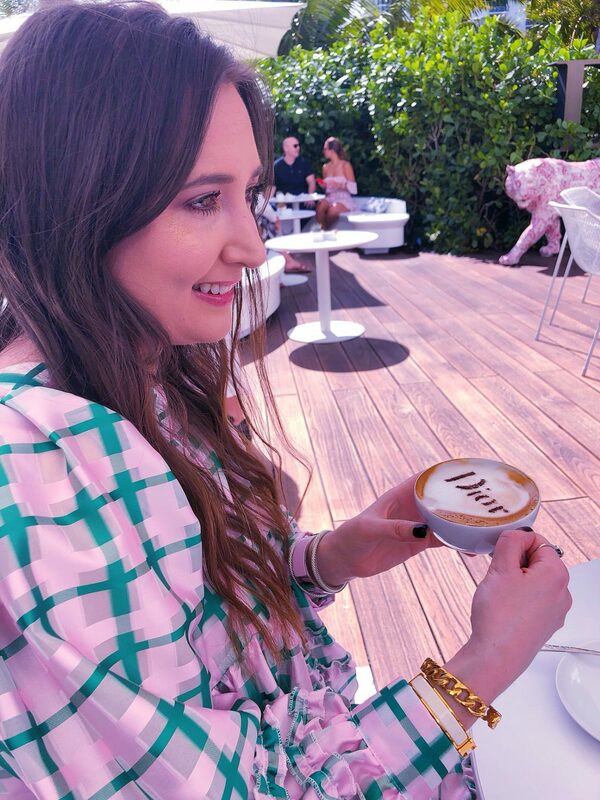 It makes me sad that it’s not a permanent cafe, but still grateful that Miami has the opportunity to experience the famous fashion cafe. 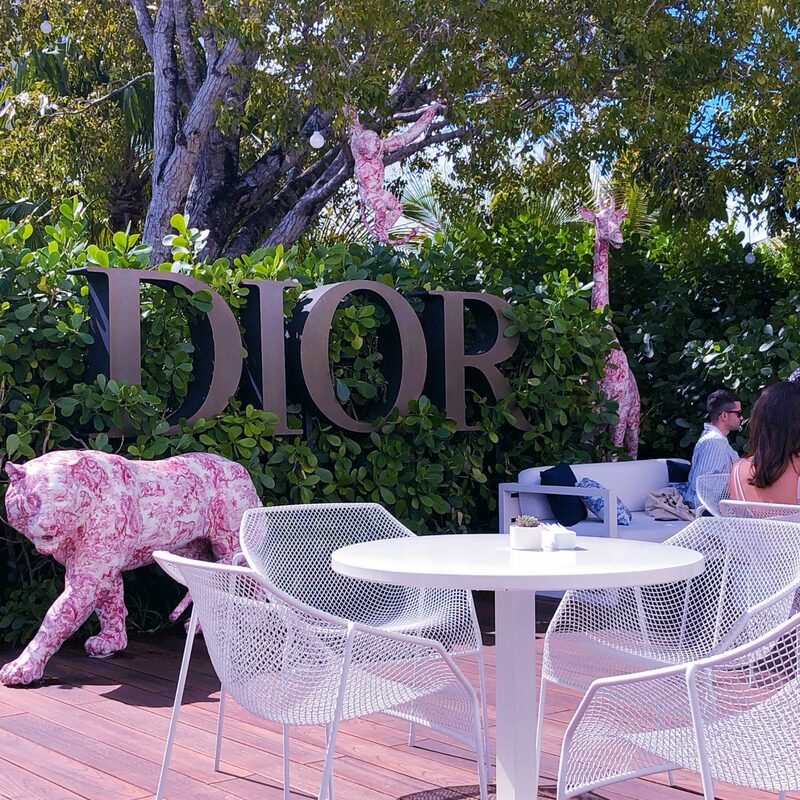 The Dior cafe in Miami is currently the place to be seen. 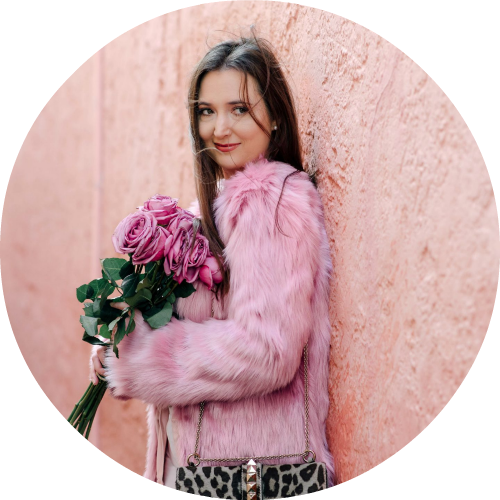 Don’t feel shy to take photos because that’s what everyone is doing (#doitforthegram) and it seems like every influencer and blogger is here. Also, everyone is dressed up (but honestly, that’s Miami) so it’s normal to wear dresses and heels to the cafe. However, you should dress in what makes you comfortable. The area is quite small with seating for about 12-15 small groups. 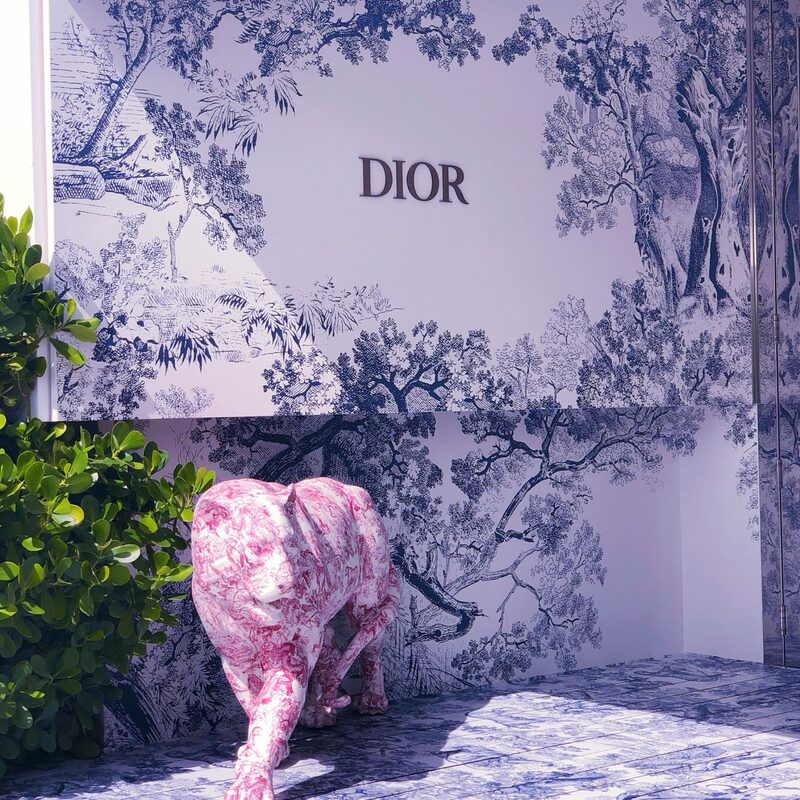 It’s a beautiful design with white tables, lush greenery, and a huge Dior sign with porcelain animals. There is floral tile intermixed with the wood floors to give a chic aesthetic. 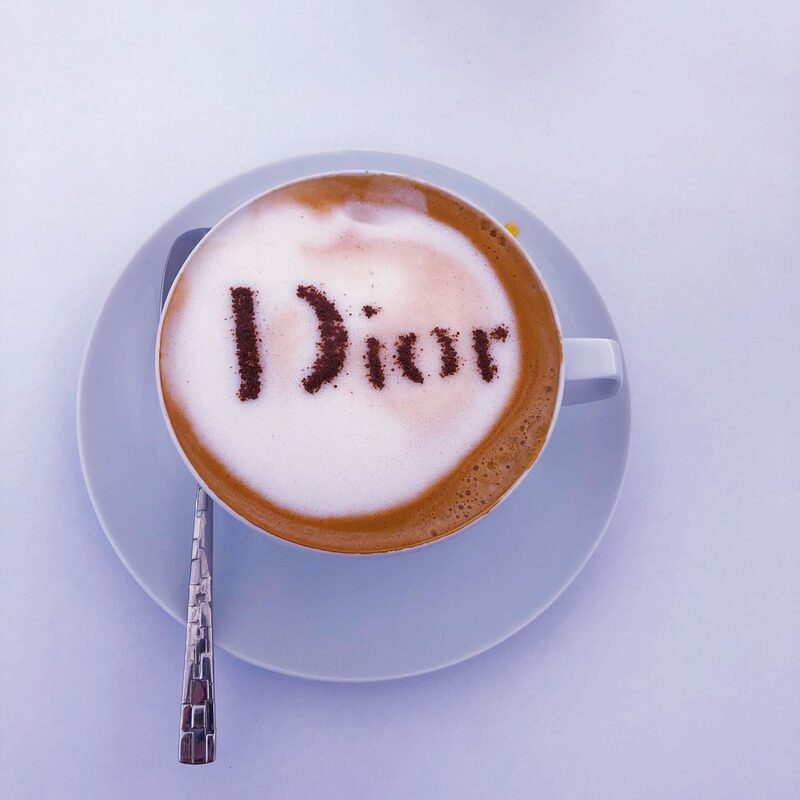 I ordered the almond latte which has the Dior embossed in the foam. I must say, the latte was delicious. For $12, it better be! 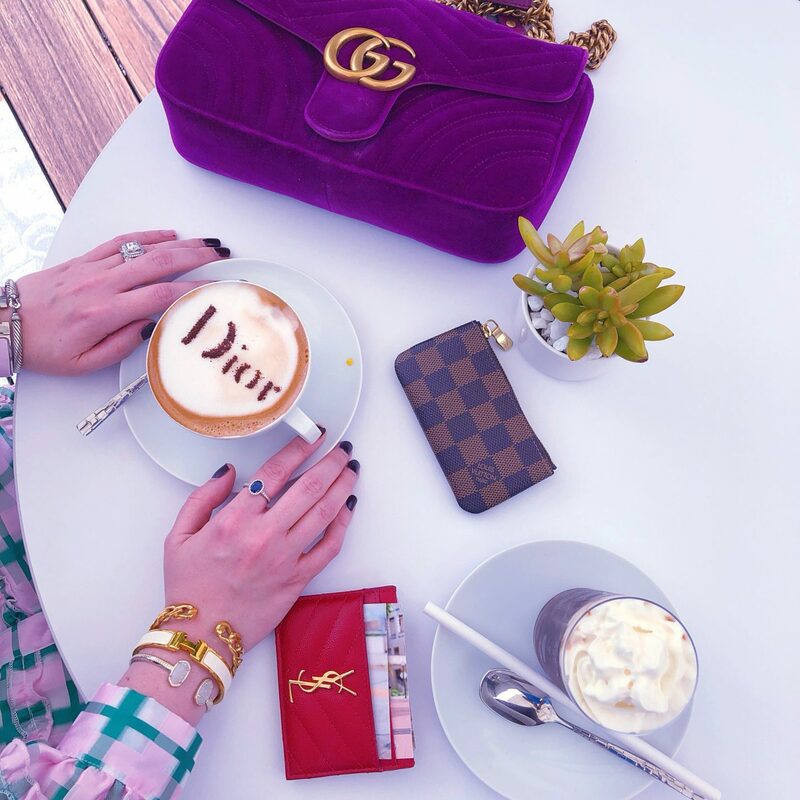 It is probably the most expensive latte I have ever purchased but a complete steal compared to the Lady Dior bag (I tried on quite a few on my way up to the Cafe). What else is on the menu? There was champagne, juice, cappuccino’s and latte’s, iced coffee, quiche, fruit bowls, macaroons, and croissants. Typical cafe food with atypical prices. Ultimately, your paying for the experience. Don’t expect great service. After all, this is Miami where great service is almost unheard of. I witnessed a couple get up and leave their table because it took too long for a server to get to them. Fortunately, I got there right when they opened (and even still it took 10 minutes to be acknowledged). So don’t go when you are in a rush and don’t have any expectations of spectacular service. 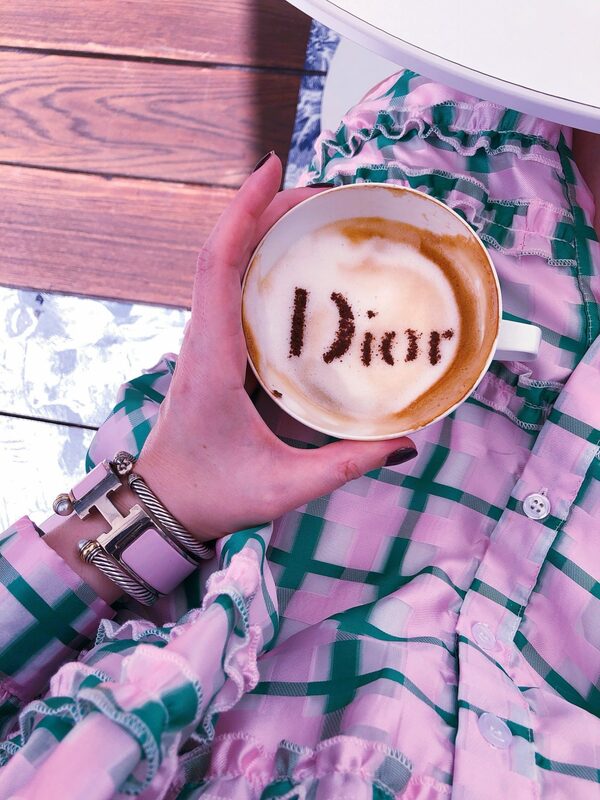 Ultimately, just enjoy the architecture and Dior latte’s (when you finally get one, ha). 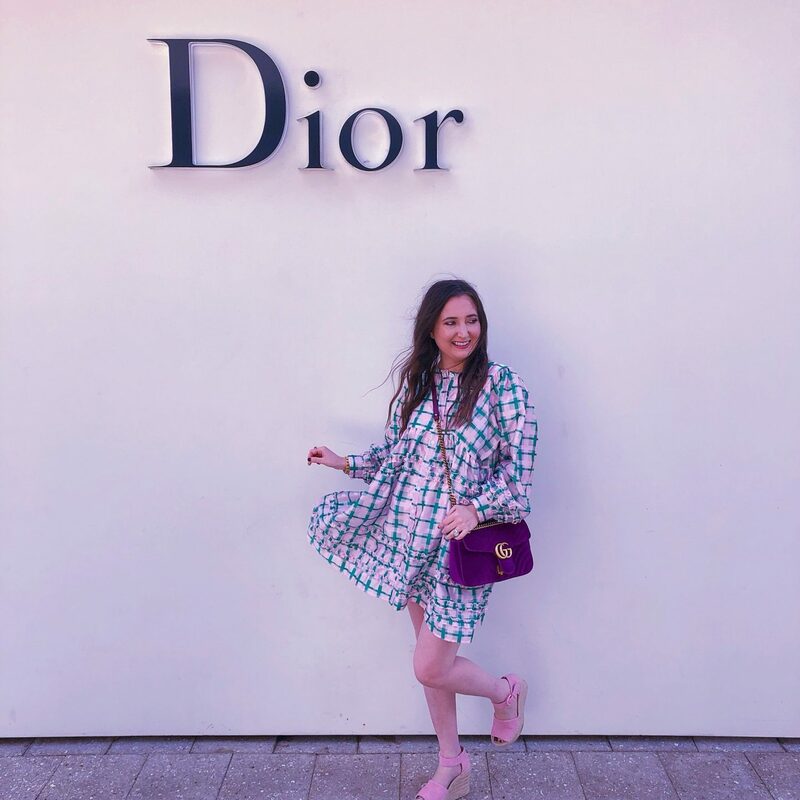 My pink and green dress was the perfect ensemble to match the Dior decor. My husband says it looks like a tent (insert eye roll) but I love a cute babydoll dress. I love the color combo and it looks so cute with my Gucci velvet bag and Marc Fisher wedges. 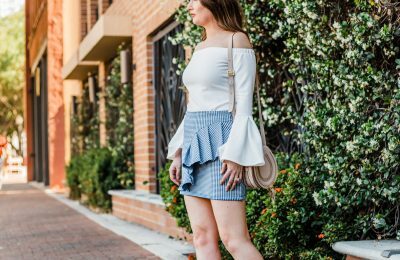 Shop my outfit below!